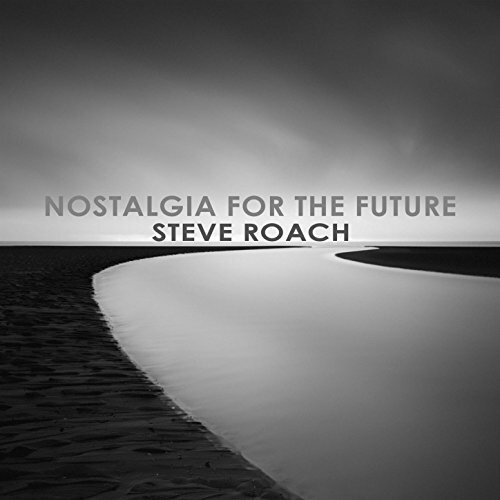 Belying the beautiful monochrome photos that adorn the cover of this latest release on Roach’s Timeroom Editions label, Nostalgia for the Future is a powerful outpouring of tonal color and shimmering textures that morphs and evolves at every turn, offering the listener a vast panoramic observation post where every shade and hue reaches inward to illuminate the spirit, guiding it through a rich landscape of dreams. Each of the six tracks crossfades seamlessly with the next, where the listener is moved through portals without any awareness of ends or beginnings, only an endless sense of the present and a realization that persistent waves of change are pushing the conscousness outward, to the ends of the sonic universe. This is a world with no sharp edges, where forms and shapes flow together like vapor, the instrumentation being exclusively analog and virtual analog synths, no fast sequences, and totally void of percussion. The astute passenger on this journey may be reminded at times of some of Roach’s previous works, but here the ideas flow and combine in different and subtle ways that offer a sense of ever-refreshing flux. The opening statement is the 20 minute “Home Now,” which echoes the feeling of beauty and mysticism one might experience in the opening minutes of his collaboration The Ambient Expanse, but from that point it branches out into many new directions, often following an inside track into strange amorphous worlds where clusters of sound, light and shadow dance and play in every dimension.